The Sarva Shiksha Abhiyan (SSA) is the Government of India’s (GOI) flagship Elementary Education Programme launched in 2001,its aims to provide Universal Education to children between the ages of 6 to 14 years. SSA is now the primary vehicle for implementing the Right of Children to Free and Compulsory Education Act (RTE). 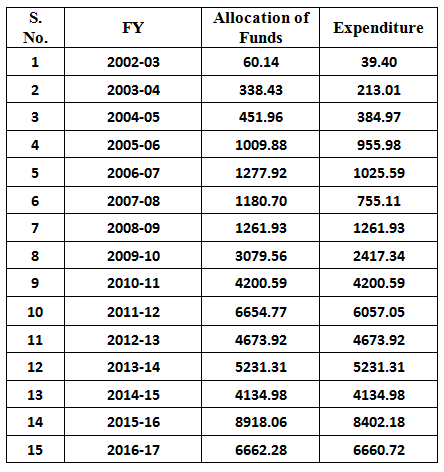 o	Overall trends in GOI allocations and expenditures. o	Allocations and expenditure performance across key SSA activities. o	Compliance with the RTE. 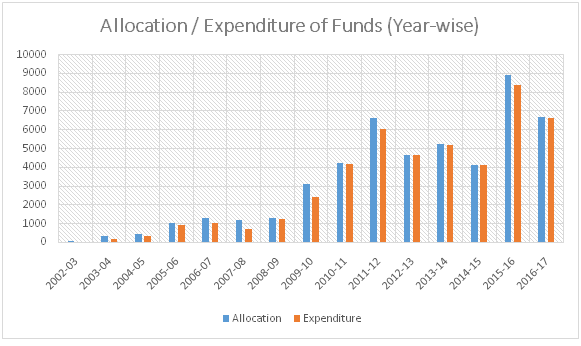 From FY 2010-11 till FY 2014-15, GOI contributed 65% of the total SSA funds. From October 2015, this has been revised to 60% with states contributing 40%. Overcome the problems of school dropouts and lay emphasis on retention. Shift focus from educationally backward states to educationally backward districts. Provide universal access to minimum levels of learning for enhancements of learner’s achievement. Improve school effectives, teacher competence, training and motivation. Decentralization of planning and management through Panchayati Raj institutions / village education committees and stress on participative process. It also envisages bridging of gender and social disparities in elementary education. S.S.A has special focus on educational need of girls, SC’s, ST’s children with disabilities and disadvantaged children. All children in schools, EGS centers, AIE centers, back to school camps by 2003. Focus on elementary education of satisfactory quality with emphasis on education for all. Bridge all gender and social disparities at primary stage by 2007 and at upper Primary level by 2010. 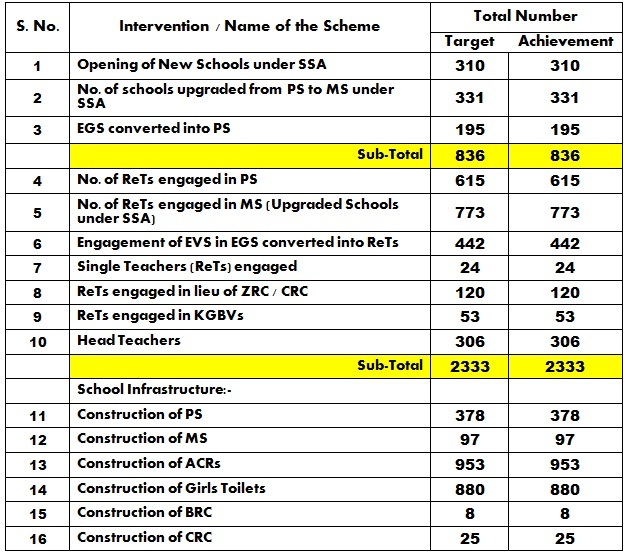 Opening of PS and Upgradation of Schools from PS to MS under SSA in District: bUDGAM Since Inception.